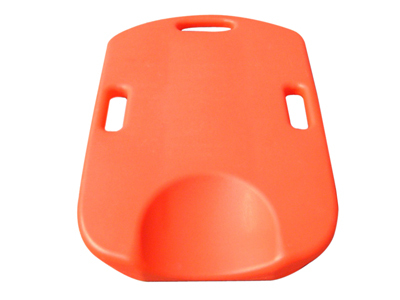 Check out our new Lifeguard Savers.com website for information about MANY more lifeguard products! This 97-piece, 16-unit pool and lifeguard first aid kit has everything you'll need around the pool. Use the products in this kit for insect bites, minor cuts and eye irritations. 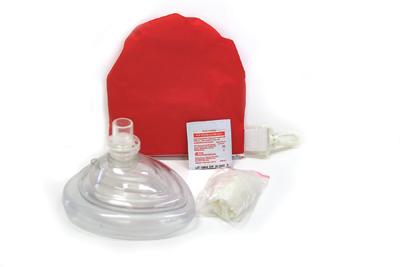 In addition, our lifeguard kits provide a Rescue Breather CPR one-way valve faceshield to protect you from contaminants when performing CPR. 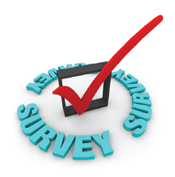 Products are contained in a strong metal case with gasket. Bulk Discount, purchase 12 at only $38.65 each! Packaged in a compact, hard shell, pocket-sized carrying case and features a patented one-way valve with filter. Prevents mouth-to-mouth contact with victims face. Leak-proof seal, re-inflated contoured soft vinyl cuff shapes easily to adult, child and infant facial contours. Transparent dome allows rescuer to check victims mouth for lip color and secretions. 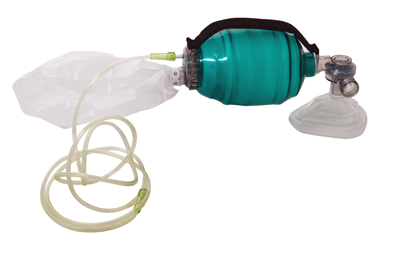 Mask is ready to use with no need to assemble valve and filter, saving valuable time in emergencies. Recognized by all major guarding agencies. Masks come with gloves and a wipe. Case can be customized in volume. Comes in white case. Packaged in a compact, hard shell, pocket-sized carrying case and features a patented one-way valve with filter. Prevents mouth-to-mouth contact with victims face. Leak-proof seal, re-inflated contoured soft vinyl cuff shapes easily to adult, child and infant facial contours. Transparent dome allows rescuer to check victims mouth for lip color and secretions. 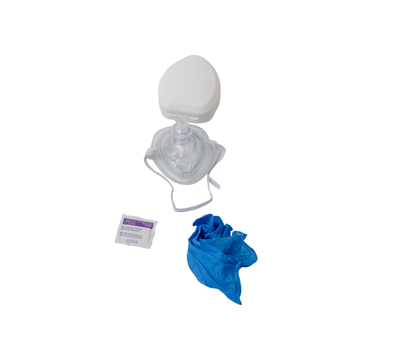 Mask is ready to use with no need to assemble valve and filter, saving valuable time in emergencies. Recognized by all major guarding agencies. Masks come with gloves and a wipe. This mask is a must for in water resuscitation. Comes pre-inflated and delivers a perfect seal with the patient every time. This mask is good for adults or children. Extremely popular item with the waterparks. All models complete with reservoir bag and 02 tubing. Transparent bag with positive textured grip and sensitive response. Latex free. 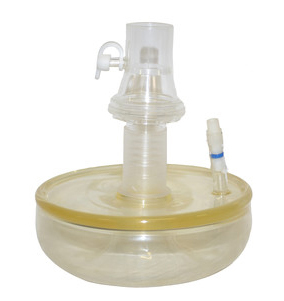 Packaged in a soft red pouch and features a patented one-way valve with filter. Prevents mouth-to-mouth contact with victims face. Leak-proof seal, re-inflated contoured soft vinyl cuff shapes easily to adult, child and infant facial contours. Transparent dome allows rescuer to check victims mouth for lip color and secretions. 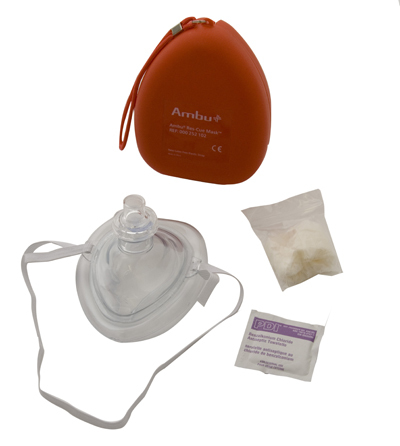 Mask is ready to use with no need to assemble valve and filter, saving valuable time in emergencies. Recognized by all major guarding agencies. Comes with gloves and a wipe. (Comes with head strap and o2 inlet not shown in picture). The KEMP CPR Board is ideal for CPR training and CPR administration by providing a firm surface that helps to properly position a patient to ensure a constant, open airway. The head cup maintains proper alignment of a patient's head, whilst the contoured sides make lifting the patient easier. Dimensions (inches): 24 x 17 X 3 Colors: Orange.